 WSJ Sues for Access to Medicare Claims Data - ONRAD, Inc.
ImagingBiz.com | Dow Jones & Co filed suit in the U.S. District Court for the Middle District of Florida earlier this week in an effort to overturn a 1979 court order barring access to Medicare claims data. The 1979 court order was the result of a suit brought by the American Medical Association to prohibit access to information about how much individual physicians receive from the federal payor. The action by the publisher of the Wall Street Journal follows a series of articles by the Journal on abuses of the Medicare system and questionable uses of Medicare funds, based on selected claims data that are part of the broader database. According to an article in the Wall Street Journal, the suit claims that the 1979 injunction has interfered with the paper’s ability to report on Medicare because of liited access to the data and the inability to name physicians and other providers. “It’s time to overturn an injunction that, for decades, has allowed some doctors to defraud Medicare free from public scrutiny,” Dow Jones general counsel Mark Jackson said in a statement. According to the article, the AMA averted two attempts to reverse the order in 2009, and in one case, the court ruled that physician’s right to privacy overruled the public’s right to access. Wilson added that physicians who bill Medicare are subjected to considerable regulatory scrutiny. Robert Thomas, editor-in-chief of the Wall Street Journal, noted that because the Medicare system is funded by taxpayers, taxpayers have a right to examine how those funds are used.